A 20-meter (65-foot) spruce tree fell on the man while he was working in the forest, local police said. 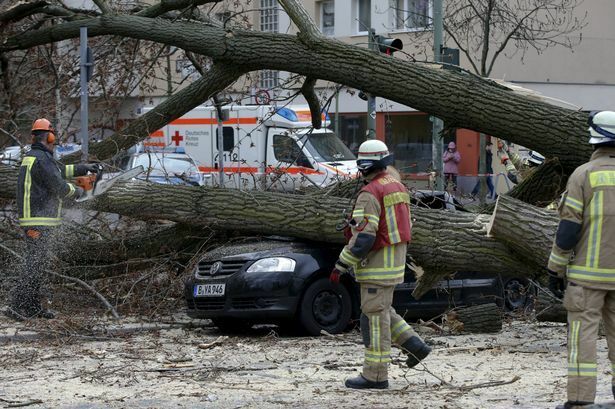 Falling trees also caused train delays in the western state of North Rhine-Westphalia, while the wind caused significant damage to cars and buildings. The DWD expects the storm to continue battering eastern Germany into the night, with parts of southern Germany expecting hurricane-force winds as well. Several regions have warned residents to stay at home while emergency services attempt to clear the roads of fallen branches and repair power outages.